Go out on the big wide web and find us some great motoring T-shirts. Don't forget to post a link to the store! 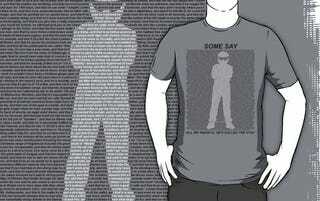 You can't really see it in the thumbnail, but the image on this shirt is made up of all the "some say" gags.